This section provides graphic and media marketing collateral for use by our resellers and distributors. As the USD to EURO conversion rate fluctuates on a regular basis, always check your reseller account and update the USD to EURO conversion rate on the Start Page tab of the pricing workbook to ensure pricing matches our website. Tracker Software Products is pleased to report that the PDF-XChange family of products has now acquired from the US Department of Commerce Bureau of Industry and Security - an ECCN - Export Control Certificate, required in certain circumstances where a software application has the ability to apply and enforce encryption technology (such as PDF-XChange does offer). 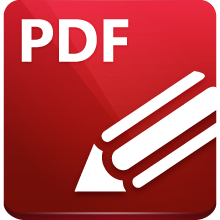 Any corporate user of PDF-XChange needing to distribute their legitimate PDF-XChange license to foreign subsidiaries' and comply with such US Export controls, may contact us for further details and our ECCN and certificate information.